Before looking at the process control primitives in the next chapter, we need to examine the environment of a single process. In this chapter, we'll see how the main function is called when the program is executed, how command-line arguments are passed to the new program, what the typical memory layout looks like, how to allocate additional memory, how the process can use environment variables, and various ways for the process to terminate. Additionally, we'll look at the longjmp and setjmp functions and their interaction with the stack. We finish the chapter by examining the resource limits of a process. where argc is the number of command-line arguments, and argv is an array of pointers to the arguments. We describe these arguments in Section 7.4. When a C program is executed by the kernelby one of the exec functions, which we describe in Section 8.10a special start-up routine is called before the main function is called. The executable program file specifies this routine as the starting address for the program; this is set up by the link editor when it is invoked by the C compiler. This start-up routine takes values from the kernelthe command-line arguments and the environmentand sets things up so that the main function is called as shown earlier. For now, we'll ignore the three termination methods specific to threads until we discuss threads in Chapters 11 and 12. Three functions terminate a program normally: _exit and _Exit, which return to the kernel immediately, and exit, which performs certain cleanup processing and then returns to the kernel. We'll discuss the effect of these three functions on other processes, such as the children and the parent of the terminating process, in Section 8.5. The reason for the different headers is that exit and _Exit are specified by ISO C, whereas _exit is specified by POSIX.1. Historically, the exit function has always performed a clean shutdown of the standard I/O library: the fclose function is called for all open streams. Recall from Section 5.5 that this causes all buffered output data to be flushed (written to the file). All three exit functions expect a single integer argument, which we call the exit status. Most UNIX System shells provide a way to examine the exit status of a process. If (a) any of these functions is called without an exit status, (b) main does a return without a return value, or (c) the main function is not declared to return an integer, the exit status of the process is undefined. However, if the return type of main is an integer and main "falls off the end" (an implicit return), the exit status of the process is 0. This behavior is new with the 1999 version of the ISO C standard. Historically, the exit status was undefined if the end of the main function was reached without an explicit return statement or call to the exit function. The program in Figure 7.1 is the classic "hello, world" example. Note the compiler warning when we enable the 1999 ISO C extensions. This warning is printed because the type of the main function is not explicitly declared to be an integer. If we were to add this declaration, the message would go away. However, if we were to enable all recommended warnings from the compiler (with the -Wall flag), then we would see a warning message something like "control reaches end of nonvoid function." The declaration of main as returning an integer and the use of exit instead of return produces needless warnings from some compilers and the lint(1) program. The problem is that these compilers don't know that an exit from main is the same as a return. One way around these warnings, which become annoying after a while, is to use return instead of exit from main. But doing this prevents us from using the UNIX System's grep utility to locate all calls to exit from a program. Another solution is to declare main as returning void, instead of int, and continue calling exit. This gets rid of the compiler warning but doesn't look right (especially in a programming text), and can generate other compiler warnings, since the return type of main is supposed to be a signed integer. In this text, we show main as returning an integer, since that is the definition specified by both ISO C and POSIX.1. Different compilers vary in the verbosity of their warnings. Note that the GNU C compiler usually doesn't emit these extraneous compiler warnings unless additional warning options are used. In the next chapter, we'll see how any process can cause a program to be executed, wait for the process to complete, and then fetch its exit status. With ISO C, a process can register up to 32 functions that are automatically called by exit. These are called exit handlers and are registered by calling the atexit function. This declaration says that we pass the address of a function as the argument to atexit. When this function is called, it is not passed any arguments and is not expected to return a value. The exit function calls these functions in reverse order of their registration. Each function is called as many times as it was registered. These exit handlers first appeared in the ANSI C Standard in 1989. Systems that predate ANSI C, such as SVR3 and 4.3BSD, did not provide these exit handlers. ISO C requires that systems support at least 32 exit handlers. The sysconf function can be used to determine the maximum number of exit handlers supported by a given platform (see Figure 2.14). With ISO C and POSIX.1, exit first calls the exit handlers and then closes (via fclose) all open streams. POSIX.1 extends the ISO C standard by specifying that any exit handlers installed will be cleared if the program calls any of the exec family of functions. Figure 7.2 summarizes how a C program is started and the various ways it can terminate. Note that the only way a program is executed by the kernel is when one of the exec functions is called. The only way a process voluntarily terminates is when _exit or _Exit is called, either explicitly or implicitly (by calling exit). A process can also be involuntarily terminated by a signal (not shown in Figure 7.2). The program in Figure 7.3 demonstrates the use of the atexit function. An exit handler is called once for each time it is registered. In Figure 7.3, the first exit handler is registered twice, so it is called two times. Note that we don't call exit; instead, we return from main. When a program is executed, the process that does the exec can pass command-line arguments to the new program. This is part of the normal operation of the UNIX system shells. We have already seen this in many of the examples from earlier chapters. The program in Figure 7.4 echoes all its command-line arguments to standard output. Note that the normal echo(1) program doesn't echo the zeroth argument. For example, if the environment consisted of five strings, it could look like Figure 7.5. Here we explicitly show the null bytes at the end of each string. We'll call environ the environment pointer, the array of pointers the environment list, and the strings they point to the environment strings. strings, as shown in Figure 7.5. Most predefined names are entirely uppercase, but this is only a convention. Because ISO C specifies that the main function be written with two arguments, and because this third argument provides no benefit over the global variable environ, POSIX.1 specifies that environ should be used instead of the (possible) third argument. Access to specific environment variables is normally through the getenv and putenv functions, described in Section 7.9, instead of through the environ variable. But to go through the entire environment, the environ pointer must be used. Stack, where automatic variables are stored, along with information that is saved each time a function is called. Each time a function is called, the address of where to return to and certain information about the caller's environment, such as some of the machine registers, are saved on the stack. The newly called function then allocates room on the stack for its automatic and temporary variables. This is how recursive functions in C can work. Each time a recursive function calls itself, a new stack frame is used, so one set of variables doesn't interfere with the variables from another instance of the function. Several more segment types exist in an a.out, containing the symbol table, debugging information, linkage tables for dynamic shared libraries, and the like. These additional sections don't get loaded as part of the program's image executed by a process. malloc, which allocates a specified number of bytes of memory. The initial value of the memory is indeterminate. calloc, which allocates space for a specified number of objects of a specified size. The space is initialized to all 0 bits. realloc, which increases or decreases the size of a previously allocated area. When the size increases, it may involve moving the previously allocated area somewhere else, to provide the additional room at the end. Also, when the size increases, the initial value of the space between the old contents and the end of the new area is indeterminate. The pointer returned by the three allocation functions is guaranteed to be suitably aligned so that it can be used for any data object. For example, if the most restrictive alignment requirement on a particular system requires that doubles must start at memory locations that are multiples of 8, then all pointers returned by these three functions would be so aligned. Because the three alloc functions return a generic void * pointer, if we #include <stdlib.h> (to obtain the function prototypes), we do not explicitly have to cast the pointer returned by these functions when we assign it to a pointer of a different type. The function free causes the space pointed to by ptr to be deallocated. This freed space is usually put into a pool of available memory and can be allocated in a later call to one of the three alloc functions. The realloc function lets us increase or decrease the size of a previously allocated area. (The most common usage is to increase an area.) For example, if we allocate room for 512 elements in an array that we fill in at runtime but find that we need room for more than 512 elements, we can call realloc. If there is room beyond the end of the existing region for the requested space, then realloc doesn't have to move anything; it simply allocates the additional area at the end and returns the same pointer that we passed it. But if there isn't room at the end of the existing region, realloc allocates another area that is large enough, copies the existing 512-element array to the new area, frees the old area, and returns the pointer to the new area. Because the area may move, we shouldn't have any pointers into this area. Exercise 4.16 shows the use of realloc with getcwd to handle any length pathname. Figure 17.36 shows an example that uses realloc to avoid arrays with fixed, compile-time sizes. Note that the final argument to realloc is the new size of the region, not the difference between the old and new sizes. As a special case, if ptr is a null pointer, realloc behaves like malloc and allocates a region of the specified newsize. Older versions of these routines allowed us to realloc a block that we had freed since the last call to malloc, realloc, or calloc. This trick dates back to Version 7 and exploited the search strategy of malloc to perform storage compaction. Solaris still supports this feature, but many other platforms do not. This feature is deprecated and should not be used. The allocation routines are usually implemented with the sbrk(2) system call. This system call expands (or contracts) the heap of the process. (Refer to Figure 7.6.) A sample implementation of malloc and free is given in Section 8.7 of Kernighan and Ritchie . Although sbrk can expand or contract the memory of a process, most versions of malloc and free never decrease their memory size. The space that we free is available for a later allocation, but the freed space is not usually returned to the kernel; that space is kept in the malloc pool. It is important to realize that most implementations allocate a little more space than is requested and use the additional space for record keepingthe size of the allocated block, a pointer to the next allocated block, and the like. This means that writing past the end of an allocated area could overwrite this record-keeping information in a later block. These types of errors are often catastrophic, but difficult to find, because the error may not show up until much later. Also, it is possible to overwrite this record keeping by writing before the start of the allocated area. Writing past the end or before the beginning of a dynamically-allocated buffer can corrupt more than internal record-keeping information. The memory before and after a dynamically-allocated buffer can potentially be used for other dynamically-allocated objects. These objects can be unrelated to the code corrupting them, making it even more difficult to find the source of the corruption. Other possible errors that can be fatal are freeing a block that was already freed and calling free with a pointer that was not obtained from one of the three alloc functions. If a process calls malloc, but forgets to call free, its memory usage continually increases; this is called leakage. By not calling free to return unused space, the size of a process's address space slowly increases until no free space is left. During this time, performance can degrade from excess paging overhead. Because memory allocation errors are difficult to track down, some systems provide versions of these functions that do additional error checking every time one of the three alloc functions or free is called. These versions of the functions are often specified by including a special library for the link editor. There are also publicly available sources that you can compile with special flags to enable additional runtime checking. FreeBSD, Mac OS X, and Linux support additional debugging through the setting of environment variables. In addition, options can be passed to the FreeBSD library through the symbolic link /etc/malloc.conf. Many replacements for malloc and free are available. Some systems already include libraries providing alternate memory allocator implementations. Other systems provide only the standard allocator, leaving it up to software developers to download alternatives, if desired. We discuss some of the alternatives here. SVR4-based systems, such as Solaris, include the libmalloc library, which provides a set of interfaces matching the ISO C memory allocation functions. The libmalloc library includes mallopt, a function that allows a process to set certain variables that control the operation of the storage allocator. A function called mallinfo is also available to provide statistics on the memory allocator. Vo  describes a memory allocator that allows processes to allocate memory using different techniques for different regions of memory. In addition to the functions specific to vmalloc, the library also provides emulations of the ISO C memory allocation functions. Historically, the standard malloc algorithm used either a best-fit or a first-fit memory allocation strategy. Quick-fit is faster than either, but tends to use more memory. Weinstock and Wulf  describe the algorithm, which is based on splitting up memory into buffers of various sizes and maintaining unused buffers on different free lists, depending on the size of the buffers. Free implementations of malloc and free based on quick-fit are readily available from several FTP sites. One additional function is also worth mentioning. The function alloca has the same calling sequence as malloc; however, instead of allocating memory from the heap, the memory is allocated from the stack frame of the current function. The advantage is that we don't have to free the space; it goes away automatically when the function returns. The alloca function increases the size of the stack frame. The disadvantage is that some systems can't support alloca, if it's impossible to increase the size of the stack frame after the function has been called. Nevertheless, many software packages use it, and implementations exist for a wide variety of systems. All four platforms discussed in this text provide the alloca function. The UNIX kernel never looks at these strings; their interpretation is up to the various applications. The shells, for example, use numerous environment variables. Some, such as HOME and USER, are set automatically at login, and others are for us to set. We normally set environment variables in a shell start-up file to control the shell's actions. If we set the environment variable MAILPATH, for example, it tells the Bourne shell, GNU Bourne-again shell, and Korn shell where to look for mail. ISO C defines a function that we can use to fetch values from the environment, but this standard says that the contents of the environment are implementation defined. Note that this function returns a pointer to the value of a name=value string. We should always use getenv to fetch a specific value from the environment, instead of accessing environ directly. Some environment variables are defined by POSIX.1 in the Single UNIX Specification, whereas others are defined only if the XSI extensions are supported. Figure 7.7 lists the environment variables defined by the Single UNIX Specification and also notes which implementations support the variables. Any environment variable defined by POSIX.1 is marked with •; otherwise, it is an XSI extension. Many additional implementation-dependent environment variables are used in the four implementations described in this book. Note that ISO C doesn't define any environment variables. In addition to fetching the value of an environment variable, sometimes we may want to set an environment variable. We may want to change the value of an existing variable or add a new variable to the environment. (In the next chapter, we'll see that we can affect the environment of only the current process and any child processes that we invoke. We cannot affect the environment of the parent process, which is often a shell. Nevertheless, it is still useful to be able to modify the environment list.) Unfortunately, not all systems support this capability. Figure 7.8 shows the functions that are supported by the various standards and implementations. clearenv is not part of the Single UNIX Specification. It is used to remove all entries from the environment list. The operation of these three functions is as follows. The putenv function takes a string of the form name=value and places it in the environment list. If name already exists, its old definition is first removed. The setenv function sets name to value. If name already exists in the environment, then (a) if rewrite is nonzero, the existing definition for name is first removed; (b) if rewrite is 0, an existing definition for name is not removed, name is not set to the new value, and no error occurs. The unsetenv function removes any definition of name. It is not an error if such a definition does not exist. Note the difference between putenv and setenv. Whereas setenv must allocate memory to create the name=value string from its arguments, putenv is free to place the string passed to it directly into the environment. Indeed, on Linux and Solaris, the putenv implementation places the address of the string we pass to it directly into the environment list. In this case, it would be an error to pass it a string allocated on the stack, since the memory would be reused after we return from the current function. It is interesting to examine how these functions must operate when modifying the environment list. Recall Figure 7.6: the environment listthe array of pointers to the actual name=value stringsand the environment strings are typically stored at the top of a process's memory space, above the stack. Deleting a string is simple; we simply find the pointer in the environment list and move all subsequent pointers down one. But adding a string or modifying an existing string is more difficult. The space at the top of the stack cannot be expanded, because it is often at the top of the address space of the process and so can't expand upward; it can't be expanded downward, because all the stack frames below it can't be moved. If the size of the new value is less than or equal to the size of the existing value, we can just copy the new string over the old string. If the size of the new value is larger than the old one, however, we must malloc to obtain room for the new string, copy the new string to this area, and then replace the old pointer in the environment list for name with the pointer to this allocated area. If we're adding a new name, it's more complicated. First, we have to call malloc to allocate room for the name=value string and copy the string to this area. Then, if it's the first time we've added a new name, we have to call malloc to obtain room for a new list of pointers. We copy the old environment list to this new area and store a pointer to the name=value string at the end of this list of pointers. We also store a null pointer at the end of this list, of course. Finally, we set environ to point to this new list of pointers. Note from Figure 7.6 that if the original environment list was contained above the top of the stack, as is common, then we have moved this list of pointers to the heap. But most of the pointers in this list still point to name=value strings above the top of the stack. If this isn't the first time we've added new strings to the environment list, then we know that we've already allocated room for the list on the heap, so we just call realloc to allocate room for one more pointer. The pointer to the new name=value string is stored at the end of the list (on top of the previous null pointer), followed by a null pointer. In C, we can't goto a label that's in another function. Instead, we must use the setjmp and longjmp functions to perform this type of branching. As we'll see, these two functions are useful for handling error conditions that occur in a deeply nested function call. Consider the skeleton in Figure 7.9. It consists of a main loop that reads lines from standard input and calls the function do_line to process each line. This function then calls get_token to fetch the next token from the input line. The first token of a line is assumed to be a command of some form, and a switch statement selects each command. For the single command shown, the function cmd_add is called. The skeleton in Figure 7.9 is typical for programs that read commands, determine the command type, and then call functions to process each command. Figure 7.10 shows what the stack could look like after cmd_add has been called. Storage for the automatic variables is within the stack frame for each function. The array line is in the stack frame for main, the integer cmd is in the stack frame for do_line, and the integer token is in the stack frame for cmd_add. As we've said, this type of arrangement of the stack is typical, but not required. Stacks do not have to grow toward lower memory addresses. On systems that don't have built-in hardware support for stacks, a C implementation might use a linked list for its stack frames. The coding problem that's often encountered with programs like the one shown in Figure 7.9 is how to handle nonfatal errors. For example, if the cmd_add function encounters an errorsay, an invalid numberit might want to print an error, ignore the rest of the input line, and return to the main function to read the next input line. But when we're deeply nested numerous levels down from the main function, this is difficult to do in C. (In this example, in the cmd_add function, we're only two levels down from main, but it's not uncommon to be five or more levels down from where we want to return to.) It becomes messy if we have to code each function with a special return value that tells it to return one level. The solution to this problem is to use a nonlocal goto: the setjmp and longjmp functions. The adjective nonlocal is because we're not doing a normal C goto statement within a function; instead, we're branching back through the call frames to a function that is in the call path of the current function. We call setjmp from the location that we want to return to, which in this example is in the main function. In this case, setjmp returns 0 because we called it directly. In the call to setjmp, the argument env is of the special type jmp_buf. This data type is some form of array that is capable of holding all the information required to restore the status of the stack to the state when we call longjmp. Normally, the env variable is a global variable, since we'll need to reference it from another function. When we encounter an errorsay, in the cmd_add functionwe call longjmp with two arguments. The first is the same env that we used in a call to setjmp, and the second, val, is a nonzero value that becomes the return value from setjmp. The reason for the second argument is to allow us to have more than one longjmp for each setjmp. For example, we could longjmp from cmd_add with a val of 1 and also call longjmp from get_token with a val of 2. In the main function, the return value from setjmp is either 1 or 2, and we can test this value, if we want, and determine whether the longjmp was from cmd_add or get_token. When main is executed, we call setjmp, which records whatever information it needs to in the variable jmpbuffer and returns 0. We then call do_line, which calls cmd_add, and assume that an error of some form is detected. Before the call to longjmp in cmd_add, the stack looks like that in Figure 7.10. But longjmp causes the stack to be "unwound" back to the main function, throwing away the stack frames for cmd_add and do_line (Figure 7.12). Calling longjmp causes the setjmp in main to return, but this time it returns with a value of 1 (the second argument for longjmp). We've seen what the stack looks like after calling longjmp. The next question is, "what are the states of the automatic variables and register variables in the main function?" When main is returned to by the longjmp, do these variables have values corresponding to when the setjmp was previously called (i.e., are their values rolled back), or are their values left alone so that their values are whatever they were when do_line was called (which caused cmd_add to be called, which caused longjmp to be called)? Unfortunately, the answer is "it depends." Most implementations do not try to roll back these automatic variables and register variables, but the standards say only that their values are indeterminate. If you have an automatic variable that you don't want rolled back, define it with the volatile attribute. Variables that are declared global or static are left alone when longjmp is executed. The program in Figure 7.13 demonstrates the different behavior that can be seen with automatic, global, register, static, and volatile variables after calling longjmp. Note that the optimizations don't affect the global, static, and volatile variables; their values after the longjmp are the last values that they assumed. The setjmp(3) manual page on one system states that variables stored in memory will have values as of the time of the longjmp, whereas variables in the CPU and floating-point registers are restored to their values when setjmp was called. This is indeed what we see when we run the program in Figure 7.13. Without optimization, all five variables are stored in memory (the register hint is ignored for regival). When we enable optimization, both autoval and regival go into registers, even though the former wasn't declared register, and the volatile variable stays in memory. The thing to realize with this example is that you must use the volatile attribute if you're writing portable code that uses nonlocal jumps. Anything else can change from one system to the next. We'll return to these two functions, setjmp and longjmp, in Chapter 10 when we discuss signal handlers and their signal versions: sigsetjmp and siglongjmp. Having looked at the way stack frames are usually handled, it is worth looking at a potential error in dealing with automatic variables. The basic rule is that an automatic variable can never be referenced after the function that declared it returns. There are numerous warnings about this throughout the UNIX System manuals. Figure 7.14 shows a function called open_data that opens a standard I/O stream and sets the buffering for the stream. The problem is that when open_data returns, the space it used on the stack will be used by the stack frame for the next function that is called. But the standard I/O library will still be using that portion of memory for its stream buffer. Chaos is sure to result. To correct this problem, the array databuf needs to be allocated from global memory, either statically (static or extern) or dynamically (one of the alloc functions). Every process has a set of resource limits, some of which can be queried and changed by the geTRlimit and setrlimit functions. These two functions are defined as XSI extensions in the Single UNIX Specification. The resource limits for a process are normally established by process 0 when the system is initialized and then inherited by each successive process. Each implementation has its own way of tuning the various limits. Three rules govern the changing of the resource limits. A process can change its soft limit to a value less than or equal to its hard limit. A process can lower its hard limit to a value greater than or equal to its soft limit. This lowering of the hard limit is irreversible for normal users. Only a superuser process can raise a hard limit. An infinite limit is specified by the constant RLIM_INFINITY. The resource argument takes on one of the following values. Figure 7.15 shows which limits are defined by the Single UNIX Specification and supported by each implementation. The maximum size in bytes of a process's total available memory. This affects the sbrk function (Section 1.11) and the mmap function (Section 14.9). The maximum size in bytes of a core file. A limit of 0 prevents the creation of a core file. The maximum amount of CPU time in seconds. When the soft limit is exceeded, the SIGXCPU signal is sent to the process. The maximum size in bytes of the data segment: the sum of the initialized data, uninitialized data, and heap from Figure 7.6. The maximum size in bytes of a file that may be created. When the soft limit is exceeded, the process is sent the SIGXFSZ signal. The maximum amount of memory in bytes that a process can lock into memory using mlock(2). The maximum number of open files per process. Changing this limit affects the value returned by the sysconf function for its _SC_OPEN_MAX argument (Section 2.5.4). See Figure 2.16 also. The maximum number of child processes per real user ID. Changing this limit affects the value returned for _SC_CHILD_MAX by the sysconf function (Section 2.5.4). Maximum resident set size (RSS) in bytes. If available physical memory is low, the kernel takes memory from processes that exceed their RSS. The maximum size in bytes of socket buffers that a user can consume at any given time. The maximum size in bytes of the stack. See Figure 7.6. This is a synonym for RLIMIT_AS. The program in Figure 7.16 prints out the current soft limit and hard limit for all the resource limits supported on the system. To compile this program on all the various implementations, we have conditionally included the resource names that differ. Note also that we must use a different printf format on platforms that define rlim_t to be an unsigned long long instead of an unsigned long. Exercise 10.11 continues the discussion of resource limits, after we've covered signals. Understanding the environment of a C program in a UNIX system's environment is a prerequisite to understanding the process control features of the UNIX System. In this chapter, we've looked at how a process is started, how it can terminate, and how it's passed an argument list and an environment. Although both are uninterpreted by the kernel, it is the kernel that passes both from the caller of exec to the new process. We've also examined the typical memory layout of a C program and how a process can dynamically allocate and free memory. It is worthwhile to look in detail at the functions available for manipulating the environment, since they involve memory allocation. The functions setjmp and longjmp were presented, providing a way to perform nonlocal branching within a process. We finished the chapter by describing the resource limits that various implementations provide. We now turn to the process control provided by the UNIX System. This includes the creation of new processes, program execution, and process termination. We also look at the various IDs that are the property of the processreal, effective, and saved; user and group IDsand how they're affected by the process control primitives. Interpreter files and the system function are also covered. We conclude the chapter by looking at the process accounting provided by most UNIX systems. This lets us look at the process control functions from a different perspective. Every process has a unique process ID, a non-negative integer. Because the process ID is the only well-known identifier of a process that is always unique, it is often used as a piece of other identifiers, to guarantee uniqueness. For example, applications sometimes include the process ID as part of a filename in an attempt to generate unique filenames. Although unique, process IDs are reused. As processes terminate, their IDs become candidates for reuse. Most UNIX systems implement algorithms to delay reuse, however, so that newly created processes are assigned IDs different from those used by processes that terminated recently. This prevents a new process from being mistaken for the previous process to have used the same ID. There are some special processes, but the details differ from implementation to implementation. Process ID 0 is usually the scheduler process and is often known as the swapper. No program on disk corresponds to this process, which is part of the kernel and is known as a system process. Process ID 1 is usually the init process and is invoked by the kernel at the end of the bootstrap procedure. The program file for this process was /etc/init in older versions of the UNIX System and is /sbin/init in newer versions. This process is responsible for bringing up a UNIX system after the kernel has been bootstrapped. init usually reads the system-dependent initialization filesthe /etc/rc* files or /etc/inittab and the files in /etc/init.dand brings the system to a certain state, such as multiuser. The init process never dies. It is a normal user process, not a system process within the kernel, like the swapper, although it does run with superuser privileges. Later in this chapter, we'll see how init becomes the parent process of any orphaned child process. Each UNIX System implementation has its own set of kernel processes that provide operating system services. For example, on some virtual memory implementations of the UNIX System, process ID 2 is the pagedaemon. This process is responsible for supporting the paging of the virtual memory system. In addition to the process ID, there are other identifiers for every process. The following functions return these identifiers. Note that none of these functions has an error return. We'll return to the parent process ID in the next section when we discuss the fork function. The real and effective user and group IDs were discussed in Section 4.4. An existing process can create a new one by calling the fork function. Both the child and the parent continue executing with the instruction that follows the call to fork. The child is a copy of the parent. For example, the child gets a copy of the parent's data space, heap, and stack. Note that this is a copy for the child; the parent and the child do not share these portions of memory. The parent and the child share the text segment (Section 7.6). Current implementations don't perform a complete copy of the parent's data, stack, and heap, since a fork is often followed by an exec. Instead, a technique called copy-on-write (COW) is used. These regions are shared by the parent and the child and have their protection changed by the kernel to read-only. If either process tries to modify these regions, the kernel then makes a copy of that piece of memory only, typically a "page" in a virtual memory system. Section 9.2 of Bach  and Sections 5.6 and 5.7 of McKusick et al. provide more detail on this feature. Variations of the fork function are provided by some platforms. All four platforms discussed in this book support the vfork(2) variant discussed in the next section. Linux 2.4.22 also provides new process creation through the clone(2) system call. This is a generalized form of fork that allows the caller to control what is shared between parent and child. FreeBSD 5.2.1 provides the rfork(2) system call, which is similar to the Linux clone system call. The rfork call is derived from the Plan 9 operating system (Pike et al. ). Solaris 9 provides two threads libraries: one for POSIX threads (pthreads) and one for Solaris threads. The behavior of fork differs between the two thread libraries. For POSIX threads, fork creates a process containing only the calling thread, but for Solaris threads, fork creates a process containing copies of all threads from the process of the calling thread. To provide similar semantics as POSIX threads, Solaris provides the fork1 function, which can be used to create a process that duplicates only the calling thread, regardless of the thread library used. Threads are discussed in detail in Chapters 11 and 12. The program in Figure 8.1 demonstrates the fork function, showing how changes to variables in a child process do not affect the value of the variables in the parent process. In general, we never know whether the child starts executing before the parent or vice versa. This depends on the scheduling algorithm used by the kernel. If it's required that the child and parent synchronize, some form of interprocess communication is required. In the program shown in Figure 8.1, we simply have the parent put itself to sleep for 2 seconds, to let the child execute. There is no guarantee that this is adequate, and we talk about this and other types of synchronization in Section 8.9 when we discuss race conditions. In Section 10.16, we show how to use signals to synchronize a parent and a child after a fork. When we write to standard output, we subtract 1 from the size of buf to avoid writing the terminating null byte. Although strlen will calculate the length of a string not including the terminating null byte, sizeof calculates the size of the buffer, which does include the terminating null byte. Another difference is that using strlen requires a function call, whereas sizeof calculates the buffer length at compile time, as the buffer is initialized with a known string, and its size is fixed. Note the interaction of fork with the I/O functions in the program in Figure 8.1. Recall from Chapter 3 that the write function is not buffered. Because write is called before the fork, its data is written once to standard output. The standard I/O library, however, is buffered. Recall from Section 5.12 that standard output is line buffered if it's connected to a terminal device; otherwise, it's fully buffered. When we run the program interactively, we get only a single copy of the printf line, because the standard output buffer is flushed by the newline. But when we redirect standard output to a file, we get two copies of the printf line. In this second case, the printf before the fork is called once, but the line remains in the buffer when fork is called. This buffer is then copied into the child when the parent's data space is copied to the child. Both the parent and the child now have a standard I/O buffer with this line in it. The second printf, right before the exit, just appends its data to the existing buffer. When each process terminates, its copy of the buffer is finally flushed. When we redirect the standard output of the parent from the program in Figure 8.1, the child's standard output is also redirected. Indeed, one characteristic of fork is that all file descriptors that are open in the parent are duplicated in the child. We say "duplicated" because it's as if the dup function had been called for each descriptor. The parent and the child share a file table entry for every open descriptor (recall Figure 3.8). Consider a process that has three different files opened for standard input, standard output, and standard error. On return from fork, we have the arrangement shown in Figure 8.2. It is important that the parent and the child share the same file offset. Consider a process that forks a child, then waits for the child to complete. Assume that both processes write to standard output as part of their normal processing. If the parent has its standard output redirected (by a shell, perhaps) it is essential that the parent's file offset be updated by the child when the child writes to standard output. In this case, the child can write to standard output while the parent is waiting for it; on completion of the child, the parent can continue writing to standard output, knowing that its output will be appended to whatever the child wrote. If the parent and the child did not share the same file offset, this type of interaction would be more difficult to accomplish and would require explicit actions by the parent. If both parent and child write to the same descriptor, without any form of synchronization, such as having the parent wait for the child, their output will be intermixed (assuming it's a descriptor that was open before the fork). Although this is possiblewe saw it in Figure 8.2it's not the normal mode of operation. There are two normal cases for handling the descriptors after a fork. The parent waits for the child to complete. In this case, the parent does not need to do anything with its descriptors. When the child terminates, any of the shared descriptors that the child read from or wrote to will have their file offsets updated accordingly. Both the parent and the child go their own ways. Here, after the fork, the parent closes the descriptors that it doesn't need, and the child does the same thing. This way, neither interferes with the other's open descriptors. This scenario is often the case with network servers. Many of these features haven't been discussed yetwe'll cover them in later chapters. The two main reasons for fork to fail are (a) if too many processes are already in the system, which usually means that something else is wrong, or (b) if the total number of processes for this real user ID exceeds the system's limit. Recall from Figure 2.10 that CHILD_MAX specifies the maximum number of simultaneous processes per real user ID. When a process wants to duplicate itself so that the parent and child can each execute different sections of code at the same time. This is common for network serversthe parent waits for a service request from a client. When the request arrives, the parent calls fork and lets the child handle the request. The parent goes back to waiting for the next service request to arrive. When a process wants to execute a different program. This is common for shells. In this case, the child does an exec (which we describe in Section 8.10) right after it returns from the fork. Some operating systems combine the operations from step 2a fork followed by an execinto a single operation called a spawn. The UNIX System separates the two, as there are numerous cases where it is useful to fork without doing an exec. Also, separating the two allows the child to change the per-process attributes between the fork and the exec, such as I/O redirection, user ID, signal disposition, and so on. We'll see numerous examples of this in Chapter 15. The Single UNIX Specification does include spawn interfaces in the advanced real-time option group. These interfaces are not intended to be replacements for fork and exec, however. They are intended to support systems that have difficulty implementing fork efficiently, especially systems without hardware support for memory management. The function vfork has the same calling sequence and same return values as fork. But the semantics of the two functions differ. The vfork function originated with 2.9BSD. Some consider the function a blemish, but all the platforms covered in this book support it. In fact, the BSD developers removed it from the 4.4BSD release, but all the open source BSD distributions that derive from 4.4BSD added support for it back into their own releases. The vfork function is marked as an obsolete interface in Version 3 of the Single UNIX Specification. The program in Figure 8.3 is a modified version of the program from Figure 8.1. We've replaced the call to fork with vfork and removed the write to standard output. Also, we don't need to have the parent call sleep, as we're guaranteed that it is put to sleep by the kernel until the child calls either exec or exit. Here, the incrementing of the variables done by the child changes the values in the parent. Because the child runs in the address space of the parent, this doesn't surprise us. This behavior, however, differs from fork. Note in Figure 8.3 that we call _exit instead of exit. As we described in Section 7.3, _exit does not perform any flushing of standard I/O buffers. If we call exit instead, the results are indeterminate. Depending on the implementation of the standard I/O library, we might see no difference in the output, or we might find that the output from the parent's printf has disappeared. If the child calls exit, the implementation flushes the standard I/O streams. If this is the only action taken by the library, then we will see no difference with the output generated if the child called _exit. If the implementation also closes the standard I/O streams, however, the memory representing the FILE object for the standard output will be cleared out. Because the child is borrowing the parent's address space, when the parent resumes and calls printf, no output will appear and printf will return -1. Note that the parent's STDOUT_FILENO is still valid, as the child gets a copy of the parent's file descriptor array (refer back to Figure 8.2). Most modern implementations of exit will not bother to close the streams. Because the process is about to exit, the kernel will close all the file descriptors open in the process. Closing them in the library simply adds overhead without any benefit. Section 5.6 of McKusick et al. contains additional information on the implementation issues of fork and vfork. Exercises 8.1 and 8.2 continue the discussion of vfork. Executing a return from the main function. As we saw in Section 7.3, this is equivalent to calling exit. Calling the exit function. This function is defined by ISO C and includes the calling of all exit handlers that have been registered by calling atexit and closing all standard I/O streams. Because ISO C does not deal with file descriptors, multiple processes (parents and children), and job control, the definition of this function is incomplete for a UNIX system. Calling the _exit or _Exit function. ISO C defines _Exit to provide a way for a process to terminate without running exit handlers or signal handlers. Whether or not standard I/O streams are flushed depends on the implementation. On UNIX systems, _Exit and _exit are synonymous and do not flush standard I/O streams. The _exit function is called by exit and handles the UNIX system-specific details; _exit is specified by POSIX.1. In most UNIX system implementations, exit(3) is a function in the standard C library, whereas _exit(2) is a system call. Executing a return from the start routine of the last thread in the process. The return value of the thread is not used as the return value of the process, however. When the last thread returns from its start routine, the process exits with a termination status of 0. Calling the pthread_exit function from the last thread in the process. As with the previous case, the exit status of the process in this situation is always 0, regardless of the argument passed to pthread_exit. We'll say more about pthread_exit in Section 11.5. Calling abort. This is a special case of the next item, as it generates the SIGABRT signal. When the process receives certain signals. (We describe signals in more detail in Chapter 10). The signal can be generated by the process itselffor example, by calling the abort functionby some other process, or by the kernel. Examples of signals generated by the kernel include the process referencing a memory location not within its address space or trying to divide by 0. The last thread responds to a cancellation request. By default, cancellation occurs in a deferred manner: one thread requests that another be canceled, and sometime later, the target thread terminates. We discuss cancellation requests in detail in Sections 11.5 and 12.7. Regardless of how a process terminates, the same code in the kernel is eventually executed. This kernel code closes all the open descriptors for the process, releases the memory that it was using, and the like. For any of the preceding cases, we want the terminating process to be able to notify its parent how it terminated. For the three exit functions (exit, _exit, and _Exit), this is done by passing an exit status as the argument to the function. In the case of an abnormal termination, however, the kernel, not the process, generates a termination status to indicate the reason for the abnormal termination. In any case, the parent of the process can obtain the termination status from either the wait or the waitpid function (described in the next section). Note that we differentiate between the exit status, which is the argument to one of the three exit functions or the return value from main, and the termination status. The exit status is converted into a termination status by the kernel when _exit is finally called (recall Figure 7.2). Figure 8.4 describes the various ways the parent can examine the termination status of a child. If the child terminated normally, the parent can obtain the exit status of the child. to fetch the low-order 8 bits of the argument that the child passed to exit, _exit,or _Exit. to fetch the signal number that caused the termination. that returns true if a core file of the terminated process was generated. to fetch the signal number that caused the child to stop. True if status was returned for a child that has been continued after a job control stop (XSI extension to POSIX.1; waitpid only). When we described the fork function, it was obvious that the child has a parent process after the call to fork. Now we're talking about returning a termination status to the parent. But what happens if the parent terminates before the child? The answer is that the init process becomes the parent process of any process whose parent terminates. We say that the process has been inherited by init. What normally happens is that whenever a process terminates, the kernel goes through all active processes to see whether the terminating process is the parent of any process that still exists. If so, the parent process ID of the surviving process is changed to be 1 (the process ID of init). This way, we're guaranteed that every process has a parent. Another condition we have to worry about is when a child terminates before its parent. If the child completely disappeared, the parent wouldn't be able to fetch its termination status when and if the parent were finally ready to check if the child had terminated. The kernel keeps a small amount of information for every terminating process, so that the information is available when the parent of the terminating process calls wait or waitpid. Minimally, this information consists of the process ID, the termination status of the process, and the amount of CPU time taken by the process. The kernel can discard all the memory used by the process and close its open files. In UNIX System terminology, a process that has terminated, but whose parent has not yet waited for it, is called a zombie. The ps(1) command prints the state of a zombie process as Z. If we write a long-running program that forks many child processes, they become zombies unless we wait for them and fetch their termination status. Some systems provide ways to prevent the creation of zombies, as we describe in Section 10.7. The final condition to consider is this: what happens when a process that has been inherited by init terminates? Does it become a zombie? The answer is "no," because init is written so that whenever one of its children terminates, init calls one of the wait functions to fetch the termination status. By doing this, init prevents the system from being clogged by zombies. When we say "one of init's children," we mean either a process that init generates directly (such as getty, which we describe in Section 9.2) or a process whose parent has terminated and has been subsequently inherited by init. If the process is calling wait because it received the SIGCHLD signal, we expect wait to return immediately. But if we call it at any random point in time, it can block. The differences between these two functions are as follows. The waitpid function doesn't wait for the child that terminates first; it has a number of options that control which process it waits for. If a child has already terminated and is a zombie, wait returns immediately with that child's status. Otherwise, it blocks the caller until a child terminates. If the caller blocks and has multiple children, wait returns when one terminates. We can always tell which child terminated, because the process ID is returned by the function. For both functions, the argument statloc is a pointer to an integer. If this argument is not a null pointer, the termination status of the terminated process is stored in the location pointed to by the argument. If we don't care about the termination status, we simply pass a null pointer as this argument. Traditionally, the integer status that these two functions return has been defined by the implementation, with certain bits indicating the exit status (for a normal return), other bits indicating the signal number (for an abnormal return), one bit to indicate whether a core file was generated, and so on. POSIX.1 specifies that the termination status is to be looked at using various macros that are defined in <sys/wait.h>. Four mutually exclusive macros tell us how the process terminated, and they all begin with WIF. Based on which of these four macros is true, other macros are used to obtain the exit status, signal number, and the like. The four mutually-exclusive macros are shown in Figure 8.4. We'll discuss how a process can be stopped in Section 9.8 when we discuss job control. The function pr_exit in Figure 8.5 uses the macros from Figure 8.4 to print a description of the termination status. We'll call this function from numerous programs in the text. Note that this function handles the WCOREDUMP macro, if it is defined. FreeBSD 5.2.1, Linux 2.4.22, Mac OS X 10.3, and Solaris 9 all support the WCOREDUMP macro. Unfortunately, there is no portable way to map the signal numbers from WTERMSIG into descriptive names. (See Section 10.21 for one method.) We have to look at the <signal.h> header to verify that SIGABRT has a value of 6 and that SIGFPE has a value of 8. As we mentioned, if we have more than one child, wait returns on termination of any of the children. What if we want to wait for a specific process to terminate (assuming we know which process ID we want to wait for)? In older versions of the UNIX System, we would have to call wait and compare the returned process ID with the one we're interested in. If the terminated process wasn't the one we wanted, we would have to save the process ID and termination status and call wait again. We would need to continue doing this until the desired process terminated. The next time we wanted to wait for a specific process, we would go through the list of already terminated processes to see whether we had already waited for it, and if not, call wait again. What we need is a function that waits for a specific process. This functionality (and more) is provided by the POSIX.1 waitpid function. Waits for any child process. In this respect, waitpid is equivalent to wait. The waitpid function returns the process ID of the child that terminated and stores the child's termination status in the memory location pointed to by statloc. With wait, the only real error is if the calling process has no children. (Another error return is possible, in case the function call is interrupted by a signal. We'll discuss this in Chapter 10.) With waitpid, however, it's also possible to get an error if the specified process or process group does not exist or is not a child of the calling process. The options argument lets us further control the operation of waitpid. This argument is either 0 or is constructed from the bitwise OR of the constants in Figure 8.7. If the implementation supports job control, the status of any child specified by pid that has been continued after being stopped, but whose status has not yet been reported, is returned (XSI extension to POSIX.1). The waitpid function will not block if a child specified by pid is not immediately available. In this case, the return value is 0. If the implementation supports job control, the status of any child specified by pid that has stopped, and whose status has not been reported since it has stopped, is returned. The WIFSTOPPED macro determines whether the return value corresponds to a stopped child process. Solaris supports one additional, but nonstandard, option constant. WNOWAIT has the system keep the process whose termination status is returned by waitpid in a wait state, so that it may be waited for again. The waitpid function provides three features that aren't provided by the wait function. The waitpid function lets us wait for one particular process, whereas the wait function returns the status of any terminated child. We'll return to this feature when we discuss the popen function. The waitpid function provides a nonblocking version of wait. There are times when we want to fetch a child's status, but we don't want to block. The waitpid function provides support for job control with the WUNtrACED and WCONTINUED options. Recall our discussion in Section 8.5 about zombie processes. If we want to write a process so that it forks a child but we don't want to wait for the child to complete and we don't want the child to become a zombie until we terminate, the trick is to call fork twice. The program in Figure 8.8 does this. We call sleep in the second child to ensure that the first child terminates before printing the parent process ID. After a fork, either the parent or the child can continue executing; we never know which will resume execution first. If we didn't put the second child to sleep, and if it resumed execution after the fork before its parent, the parent process ID that it printed would be that of its parent, not process ID 1. Note that the shell prints its prompt when the original process terminates, which is before the second child prints its parent process ID. The XSI extension of the Single UNIX Specification includes an additional function to retrieve the exit status of a process. The waitid function is similar to waitpid, but provides extra flexibility. Like waitpid, waitid allows a process to specify which children to wait for. Instead of encoding this information in a single argument combined with the process ID or process group ID, two separate arguments are used. The id parameter is interpreted based on the value of idtype. The types supported are summarized in Figure 8.9. Wait for a particular process: id contains the process ID of the child to wait for. Wait for any child process in a particular process group: id contains the process group ID of the children to wait for. Wait for any child process: id is ignored. The options argument is a bitwise OR of the flags shown in Figure 8.10. These flags indicate which state changes the caller is interested in. Wait for a process that has previously stopped and has been continued, and whose status has not yet been reported. Wait for processes that have exited. Return immediately instead of blocking if there is no child exit status available. Don't destroy the child exit status. The child's exit status can be retrieved by a subsequent call to wait, waitid,or waitpid. Wait for a process that has stopped and whose status has not yet been reported. The infop argument is a pointer to a siginfo structure. This structure contains detailed information about the signal generated that caused the state change in the child process. The siginfo structure is discussed further in Section 10.14. Of the four platforms covered in this book, only Solaris provides support for waitid. Most UNIX system implementations provide two additional functions: wait3 and wait4. Historically, these two variants descend from the BSD branch of the UNIX System. The only feature provided by these two functions that isn't provided by the wait, waitid, and waitpid functions is an additional argument that allows the kernel to return a summary of the resources used by the terminated process and all its child processes. The resource information includes such statistics as the amount of user CPU time, the amount of system CPU time, number of page faults, number of signals received, and the like. Refer to the geTRusage(2) manual page for additional details. (This resource information differs from the resource limits we described in Section 7.11.) Figure 8.11 details the various arguments supported by the wait functions. The wait3 function was included in earlier versions of the Single UNIX Specification. In Version 2, wait3 was moved to the legacy category; wait3 was removed from the specification in Version 3. For our purposes, a race condition occurs when multiple processes are trying to do something with shared data and the final outcome depends on the order in which the processes run. The fork function is a lively breeding ground for race conditions, if any of the logic after the fork either explicitly or implicitly depends on whether the parent or child runs first after the fork. In general, we cannot predict which process runs first. Even if we knew which process would run first, what happens after that process starts running depends on the system load and the kernel's scheduling algorithm. We saw a potential race condition in the program in Figure 8.8 when the second child printed its parent process ID. If the second child runs before the first child, then its parent process will be the first child. But if the first child runs first and has enough time to exit, then the parent process of the second child is init. Even calling sleep, as we did, guarantees nothing. If the system was heavily loaded, the second child could resume after sleep returns, before the first child has a chance to run. Problems of this form can be difficult to debug because they tend to work "most of the time." The problem with this type of loop, called polling, is that it wastes CPU time, as the caller is awakened every second to test the condition. To avoid race conditions and to avoid polling, some form of signaling is required between multiple processes. Signals can be used, and we describe one way to do this in Section 10.16. Various forms of interprocess communication (IPC) can also be used. We'll discuss some of these in Chapters 15 and 17. We assume that the header apue.h defines whatever variables are required. The five routines TELL_WAIT, TELL_PARENT, TELL_CHILD, WAIT_PARENT, and WAIT_CHILD can be either macros or functions. We'll show various ways to implement these TELL and WAIT routines in later chapters: Section 10.16 shows an implementation using signals; Figure 15.7 shows an implementation using pipes. Let's look at an example that uses these five routines. The program in Figure 8.12 outputs two strings: one from the child and one from the parent. The program contains a race condition because the output depends on the order in which the processes are run by the kernel and for how long each process runs. We need to change the program in Figure 8.12 to use the TELL and WAIT functions. The program in Figure 8.13 does this. The lines preceded by a plus sign are new lines. When we run this program, the output is as we expect; there is no intermixing of output from the two processes. Exercise 8.3 continues this example. We mentioned in Section 8.3 that one use of the fork function is to create a new process (the child) that then causes another program to be executed by calling one of the exec functions. When a process calls one of the exec functions, that process is completely replaced by the new program, and the new program starts executing at its main function. The process ID does not change across an exec, because a new process is not created; exec merely replaces the current processits text, data, heap, and stack segmentswith a brand new program from disk. There are six different exec functions, but we'll often simply refer to "the exec function," which means that we could use any of the six functions. These six functions round out the UNIX System process control primitives. With fork, we can create new processes; and with the exec functions, we can initiate new programs. The exit function and the wait functions handle termination and waiting for termination. These are the only process control primitives we need. We'll use these primitives in later sections to build additional functions, such as popen and system. If filename contains a slash, it is taken as a pathname. Otherwise, the executable file is searched for in the directories specified by the PATH environment variable. There are security reasons for never including the current directory in the search path. See Garfinkel et al. . If either execlp or execvp finds an executable file using one of the path prefixes, but the file isn't a machine executable that was generated by the link editor, the function assumes that the file is a shell script and tries to invoke /bin/sh with the filename as input to the shell. The next difference concerns the passing of the argument list (l stands for list and v stands for vector). The functions execl, execlp, and execle require each of the command-line arguments to the new program to be specified as separate arguments. We mark the end of the arguments with a null pointer. For the other three functions (execv, execvp, and execve), we have to build an array of pointers to the arguments, and the address of this array is the argument to these three functions. This specifically shows that the final command-line argument is followed by a null pointer. If this null pointer is specified by the constant 0, we must explicitly cast it to a pointer; if we don't, it's interpreted as an integer argument. If the size of an integer is different from the size of a char *, the actual arguments to the exec function will be wrong. The final difference is the passing of the environment list to the new program. The two functions whose names end in an e (execle and execve) allow us to pass a pointer to an array of pointers to the environment strings. The other four functions, however, use the environ variable in the calling process to copy the existing environment for the new program. (Recall our discussion of the environment strings in Section 7.9 and Figure 7.8. We mentioned that if the system supported such functions as setenv and putenv, we could change the current environment and the environment of any subsequent child processes, but we couldn't affect the environment of the parent process.) Normally, a process allows its environment to be propagated to its children, but in some cases, a process wants to specify a certain environment for a child. One example of the latter is the login program when a new login shell is initiated. Normally, login creates a specific environment with only a few variables defined and lets us, through the shell start-up file, add variables to the environment when we log in. This specifically shows that the final argument is the address of the array of character pointers to the environment strings. The ISO C prototype doesn't show this, as all the command-line arguments, the null pointer, and the envp pointer are shown with the ellipsis notation (...). The arguments for these six exec functions are difficult to remember. The letters in the function names help somewhat. The letter p means that the function takes a filename argument and uses the PATH environment variable to find the executable file. The letter l means that the function takes a list of arguments and is mutually exclusive with the letter v, which means that it takes an argv vector. Finally, the letter e means that the function takes an envp array instead of using the current environment. Figure 8.14 shows the differences among these six functions. We use the type -f option to the find command to restrict the list to contain only regular files, because the grep commands can't search for patterns in directories, and we want to avoid unnecessary error messages. The handling of open files depends on the value of the close-on-exec flag for each descriptor. Recall from Figure 3.6 and our mention of the FD_CLOEXEC flag in Section 3.14 that every open descriptor in a process has a close-on-exec flag. If this flag is set, the descriptor is closed across an exec. Otherwise, the descriptor is left open across the exec. The default is to leave the descriptor open across the exec unless we specifically set the close-on-exec flag using fcntl. POSIX.1 specifically requires that open directory streams (recall the opendir function from Section 4.21) be closed across an exec. This is normally done by the opendir function calling fcntl to set the close-on-exec flag for the descriptor corresponding to the open directory stream. Note that the real user ID and the real group ID remain the same across the exec, but the effective IDs can change, depending on the status of the set-user-ID and the set- group-ID bits for the program file that is executed. If the set-user-ID bit is set for the new program, the effective user ID becomes the owner ID of the program file. Otherwise, the effective user ID is not changed (it's not set to the real user ID). The group ID is handled in the same way. In many UNIX system implementations, only one of these six functions, execve, is a system call within the kernel. The other five are just library functions that eventually invoke this system call. We can illustrate the relationship among these six functions as shown in Figure 8.15. In this arrangement, the library functions execlp and execvp process the PATH environment variable, looking for the first path prefix that contains an executable file named filename. The program in Figure 8.16 demonstrates the exec functions. We first call execle, which requires a pathname and a specific environment. The next call is to execlp, which uses a filename and passes the caller's environment to the new program. The only reason the call to execlp works is that the directory /home/sar/bin is one of the current path prefixes. Note also that we set the first argument, argv in the new program, to be the filename component of the pathname. Some shells set this argument to be the complete pathname. This is a convention only. We can set argv to any string we like. The login command does this when it executes the shell. Before executing the shell, login adds a dash as a prefix to argv to indicate to the shell that it is being invoked as a login shell. A login shell will execute the start-up profile commands, whereas a nonlogin shell will not. The program echoall that is executed twice in the program in Figure 8.16 is shown in Figure 8.17. It is a trivial program that echoes all its command-line arguments and its entire environment list. Note that the shell prompt appeared before the printing of argv from the second exec. This is because the parent did not wait for this child process to finish. In the UNIX System, privileges, such as being able to change the system's notion of the current date, and access control, such as being able to read or write a particular file, are based on user and group IDs. When our programs need additional privileges or need to gain access to resources that they currently aren't allowed to access, they need to change their user or group ID to an ID that has the appropriate privilege or access. Similarly, when our programs need to lower their privileges or prevent access to certain resources, they do so by changing either their user ID or group ID to an ID without the privilege or ability access to the resource. In general, we try to use the least-privilege model when we design our applications. Following this model, our programs should use the least privilege necessary to accomplish any given task. This reduces the likelihood that security can be compromised by a malicious user trying to trick our programs into using their privileges in unintended ways. We can set the real user ID and effective user ID with the setuid function. Similarly, we can set the real group ID and the effective group ID with the setgid function. If the process has superuser privileges, the setuid function sets the real user ID, effective user ID, and saved set-user-ID to uid. If the process does not have superuser privileges, but uid equals either the real user ID or the saved set-user-ID, setuid sets only the effective user ID to uid. The real user ID and the saved set-user-ID are not changed. If neither of these two conditions is true, errno is set to EPERM, and 1 is returned. Here, we are assuming that _POSIX_SAVED_IDS is true. If this feature isn't provided, then delete all preceding references to the saved set-user-ID. The saved IDs are a mandatory feature in the 2001 version of POSIX.1. They used to be optional in older versions of POSIX. To see whether an implementation supports this feature, an application can test for the constant _POSIX_SAVED_IDS at compile time or call sysconf with the _SC_SAVED_IDS argument at runtime. We can make a few statements about the three user IDs that the kernel maintains. Only a superuser process can change the real user ID. Normally, the real user ID is set by the login(1) program when we log in and never changes. Because login is a superuser process, it sets all three user IDs when it calls setuid. The effective user ID is set by the exec functions only if the set-user-ID bit is set for the program file. If the set-user-ID bit is not set, the exec functions leave the effective user ID as its current value. We can call setuid at any time to set the effective user ID to either the real user ID or the saved set-user-ID. Naturally, we can't set the effective user ID to any random value. The saved set-user-ID is copied from the effective user ID by exec. If the file's set-user-ID bit is set, this copy is saved after exec stores the effective user ID from the file's user ID. Figure 8.18 summarizes the various ways these three user IDs can be changed. To see the utility of the saved set-user-ID feature, let's examine the operation of a program that uses it. We'll look at the man(1) program, which is used to display online manual pages. The man program can be installed either set-user-ID or set-group-ID to a specific user or group, usually one reserved for man itself. The man program can be made to read and possibly overwrite files in locations that are chosen either through a configuration file (usually /etc/man.config or /etc/manpath.config) or using a command-line option. The man program might have to execute several other commands to process the files containing the manual page to be displayed. To prevent being tricked into running the wrong commands or overwriting the wrong files, the man command has to switch between two sets of privileges: those of the user running the man command and those of the user that owns the man executable file. The following steps take place. The man program accesses the required configuration files and manual pages. These files are owned by the user name man, but because the effective user ID is man, file access is allowed. Now the man process is running with our user ID as its effective user ID. This means that we can access only the files to which we have normal access. We have no additional permissions. It can safely execute any filter on our behalf. The man program can now operate on its files, as its effective user ID is man. By using the saved set-user-ID in this fashion, we can use the extra privileges granted to us by the set-user-ID of the program file at the beginning of the process and at the end of the process. In between, however, the process runs with our normal permissions. If we weren't able to switch back to the saved set-user-ID at the end, we might be tempted to retain the extra permissions the whole time we were running (which is asking for trouble). Let's look at what happens if man spawns a shell for us while it is running. (The shell is spawned using fork and exec.) Because the real user ID and the effective user ID are both our normal user ID (step 3), the shell has no extra permissions. The shell can't access the saved set-user-ID that is set to man while man is running, because the saved set-user-ID for the shell is copied from the effective user ID by exec. So in the child process that does the exec, all three user IDs are our normal user ID. Our description of how man uses the setuid function is not correct if the program is set-user-ID to root, because a call to setuid with superuser privileges sets all three user IDs. For the example to work as described, we need setuid to set only the effective user ID. Historically, BSD supported the swapping of the real user ID and the effective user ID with the setreuid function. We can supply a value of 1 for any of the arguments to indicate that the corresponding ID should remain unchanged. The rule is simple: an unprivileged user can always swap between the real user ID and the effective user ID. This allows a set-user-ID program to swap to the user's normal permissions and swap back again later for set-user-ID operations. When the saved set-user-ID feature was introduced with POSIX.1, the rule was enhanced to also allow an unprivileged user to set its effective user ID to its saved set-user-ID. Both setreuid and setregid are XSI extensions in the Single UNIX Specification. As such, all UNIX System implementations are expected to provide support for them. 4.3BSD didn't have the saved set-user-ID feature described earlier. It used setreuid and setregid instead. This allowed an unprivileged user to swap back and forth between the two values. Be aware, however, that when programs that used this feature spawned a shell, they had to set the real user ID to the normal user ID before the exec. If they didn't do this, the real user ID could be privileged (from the swap done by setreuid) and the shell process could call setreuid to swap the two and assume the permissions of the more privileged user. As a defensive programming measure to solve this problem, programs set both the real user ID and the effective user ID to the normal user ID before the call to exec in the child. POSIX.1 includes the two functions seteuid and setegid. These functions are similar to setuid and setgid, but only the effective user ID or effective group ID is changed. Figure 8.19 summarizes all the functions that we've described here that modify the three user IDs. Everything that we've said so far in this section also applies in a similar fashion to group IDs. The supplementary group IDs are not affected by setgid, setregid, or setegid. The pathname is normally an absolute pathname, since no special operations are performed on it (i.e., PATH is not used). The recognition of these files is done within the kernel as part of processing the exec system call. The actual file that gets executed by the kernel is not the interpreter file, but the file specified by the pathname on the first line of the interpreter file. Be sure to differentiate between the interpreter filea text file that begins with #!and the interpreter, which is specified by the pathname on the first line of the interpreter file. Be aware that systems place a size limit on the first line of an interpreter file. This limit includes the #!, the pathname, the optional argument, the terminating newline, and any spaces. On FreeBSD 5.2.1, this limit is 128 bytes. Mac OS X 10.3 extends this limit to 512 bytes. Linux 2.4.22 supports a limit of 127 bytes, whereas Solaris 9 places the limit at 1,023 bytes. Let's look at an example to see what the kernel does with the arguments to the exec function when the file being executed is an interpreter file and the optional argument on the first line of the interpreter file. The program in Figure 8.20 execs an interpreter file. The program echoarg (the interpreter) just echoes each of its command-line arguments. (This is the program from Figure 7.4.) Note that when the kernel execs the interpreter (/home/sar/bin/echoarg), argv is the pathname of the interpreter, argv is the optional argument from the interpreter file, and the remaining arguments are the pathname (/home/sar/bin/testinterp) and the second and third arguments from the call to execl in the program shown in Figure 8.20 (myarg1 and MY ARG2). Both argv and argv from the call to execl have been shifted right two positions. Note that the kernel takes the pathname from the execl call instead of the first argument (testinterp), on the assumption that the pathname might contain more information than the first argument. 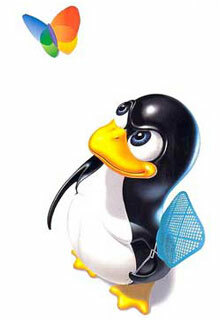 which tells awk to read the awk program from the file myfile. Systems derived from UNIX System V often include two versions of the awk language. On these systems, awk is often called "old awk" and corresponds to the original version distributed with Version 7. In contrast, nawk (new awk) contains numerous enhancements and corresponds to the language described in Aho, Kernighan, and Weinberger . This newer version provides access to the command-line arguments, which we need for the example that follows. Solaris 9 provides both versions. The awk program is one of the utilities included by POSIX in its 1003.2 standard, which is now part of the base POSIX.1 specification in the Single UNIX Specification. This utility is also based on the language described in Aho, Kernighan, and Weinberger . For example, Figure 8.21 shows /usr/local/bin/awkexample (an interpreter file). The pathname of the interpreter file (/usr/local/bin/awkexample) is passed to the interpreter. The filename portion of this pathname (what we typed to the shell) isn't adequate, because the interpreter (/bin/awk in this example) can't be expected to use the PATH variable to locate files. When it reads the interpreter file, awk ignores the first line, since the pound sign is awk's comment character. and awk is trying to interpret the string /usr/local/bin/awkexample as an awk program. If we couldn't pass at least a single optional argument to the interpreter (-f in this case), these interpreter files would be usable only with the shells. Are interpreter files required? Not really. They provide an efficiency gain for the user at some expense in the kernel (since it's the kernel that recognizes these files). Interpreter files are useful for the following reasons. The problem with this solution is that more work is required. First, the shell reads the command and tries to execlp the filename. Because the shell script is an executable file, but isn't a machine executable, an error is returned, and execlp assumes that the file is a shell script (which it is). Then /bin/sh is executed with the pathname of the shell script as its argument. The shell correctly runs our script, but to run the awk program, the shell does a fork, exec, and wait. Thus, there is more overhead in replacing an interpreter script with a shell script. Again, we could wrap this all in a /bin/sh script (that invokes the C shell), as we described earlier, but more overhead is required. None of this would work as we've shown if the three shells and awk didn't use the pound sign as their comment character. ISO C defines the system function, but its operation is strongly system dependent. POSIX.1 includes the system interface, expanding on the ISO C definition to describe its behavior in a POSIX environment. If cmdstring is a null pointer, system returns nonzero only if a command processor is available. This feature determines whether the system function is supported on a given operating system. Under the UNIX System, system is always available. Because system is implemented by calling fork, exec, and waitpid, there are three types of return values. If either the fork fails or waitpid returns an error other than EINTR, system returns 1 with errno set to indicate the error. If the exec fails, implying that the shell can't be executed, the return value is as if the shell had executed exit(127). Otherwise, all three functionsfork, exec, and waitpidsucceed, and the return value from system is the termination status of the shell, in the format specified for waitpid. Figure 8.22 shows an implementation of the system function. The one feature that it doesn't handle is signals. We'll update this function with signal handling in Section 10.18. The shell's -c option tells it to take the next command-line argumentcmdstring, in this caseas its command input instead of reading from standard input or from a given file. The shell parses this null-terminated C string and breaks it up into separate command-line arguments for the command. The actual command string that is passed to the shell can contain any valid shell commands. For example, input and output redirection using < and > can be used. If we didn't use the shell to execute the command, but tried to execute the command ourself, it would be more difficult. First, we would want to call execlp instead of execl, to use the PATH variable, like the shell. We would also have to break up the null-terminated C string into separate command-line arguments for the call to execlp. Finally, we wouldn't be able to use any of the shell metacharacters. Note that we call _exit instead of exit. We do this to prevent any standard I/O buffers, which would have been copied from the parent to the child across the fork, from being flushed in the child. The advantage in using system, instead of using fork and exec directly, is that system does all the required error handling and (in our next version of this function in Section 10.18) all the required signal handling. A problem occurs if the process that calls system has spawned its own children before calling system. Because the while statement above keeps looping until the child that was generated by system terminates, if any children of the process terminate before the process identified by pid, then the process ID and termination status of these other children are discarded by the while statement. Indeed, this inability to wait for a specific child is one of the reasons given in the POSIX.1 Rationale for including the waitpid function. We'll see in Section 15.3 that the same problem occurs with the popen and pclose functions, if the system doesn't provide a waitpid function. What happens if we call system from a set-user-ID program? Doing so is a security hole and should never be done. Figure 8.24 shows a simple program that just calls system for its command-line argument. We'll compile this program into the executable file tsys. Figure 8.25 shows another simple program that prints its real and effective user IDs. The superuser permissions that we gave the tsys program are retained across the fork and exec that are done by system. When /bin/sh is bash version 2, the previous example doesn't work, because bash will reset the effective user ID to the real user ID when they don't match. If it is running with special permissionseither set-user-ID or set-group-IDand wants to spawn another process, a process should use fork and exec directly, being certain to change back to normal permissions after the fork, before calling exec. The system function should never be used from a set-user-ID or a set-group-ID program. One reason for this admonition is that system invokes the shell to parse the command string, and the shell uses its IFS variable as the input field separator. Older versions of the shell didn't reset this variable to a normal set of characters when invoked. This allowed a malicious user to set IFS before system was called, causing system to execute a different program. Most UNIX systems provide an option to do process accounting. When enabled, the kernel writes an accounting record each time a process terminates. These accounting records are typically a small amount of binary data with the name of the command, the amount of CPU time used, the user ID and group ID, the starting time, and so on. We'll take a closer look at these accounting records in this section, as it gives us a chance to look at processes again and to use the fread function from Section 5.9. Process accounting is not specified by any of the standards. Thus, all the implementations have annoying differences. For example, the I/O counts maintained on Solaris 9 are in units of bytes, whereas FreeBSD 5.2.1 and Mac OS X 10.3 maintain units of blocks, although there is no distinction between different block sizes, making the counter effectively useless. Linux 2.4.22, on the other hand, doesn't try to maintain I/O statistics at all. Each implementation also has its own set of administrative commands to process raw accounting data. For example, Solaris provides runacct(1m) and acctcom(1), whereas FreeBSD provides the sa(8) command to process and summarize the raw accounting data. A function we haven't described (acct) enables and disables process accounting. The only use of this function is from the accton(8) command (which happens to be one of the few similarities among platforms). A superuser executes accton with a pathname argument to enable accounting. The accounting records are written to the specified file, which is usually /var/account/acct on FreeBSD and Mac OS X, /var/account/pacct on Linux, and /var/adm/pacct on Solaris. Accounting is turned off by executing accton without any arguments. The ac_flag member records certain events during the execution of the process. These events are described in Figure 8.26. The data required for the accounting record, such as CPU times and number of characters transferred, is kept by the kernel in the process table and initialized whenever a new process is created, as in the child after a fork. Each accounting record is written when the process terminates. This means that the order of the records in the accounting file corresponds to the termination order of the processes, not the order in which they were started. To know the starting order, we would have to go through the accounting file and sort by the starting calendar time. But this isn't perfect, since calendar times are in units of seconds (Section 1.10), and it's possible for many processes to be started in any given second. Alternatively, the elapsed time is given in clock ticks, which are usually between 60 and 128 ticks per second. But we don't know the ending time of a process; all we know is its starting time and ending order. This means that even though the elapsed time is more accurate than the starting time, we still can't reconstruct the exact starting order of various processes, given the data in the accounting file. The accounting records correspond to processes, not programs. A new record is initialized by the kernel for the child after a fork, not when a new program is executed. Although exec doesn't create a new accounting record, the command name changes, and the AFORK flag is cleared. This means that if we have a chain of three programsA execs B, then B execs C, and C exitsonly a single accounting record is written. The command name in the record corresponds to program C, but the CPU times, for example, are the sum for programs A, B, and C.
To have some accounting data to examine, we'll create a test program to implement the diagram shown in Figure 8.27. The source for the test program is shown in Figure 8.28. It calls fork four times. Each child does something different and then terminates. We'll run the test program on Solaris and then use the program in Figure 8.29 to print out selected fields from the accounting records. which becomes unwieldy as we port our application to additional platforms. We define similar constants to determine whether the platform supports the ACORE and AXSIG accounting flags. We can't use the flag symbols themselves, because on Linux, they are defined as enum values, which we can't use in a #ifdef expression. Become superuser and enable accounting, with the accton command. Note that when this command terminates, accounting should be on; therefore, the first record in the accounting file should be from this command. Exit the superuser shell and run the program in Figure 8.28. This should append six records to the accounting file: one for the superuser shell, one for the test parent, and one for each of the four test children. A new process is not created by the execl in the second child. There is only a single accounting record for the second child. Become superuser and turn accounting off. Since accounting is off when this accton command terminates, it should not appear in the accounting file. Run the program in Figure 8.29 to print the selected fields from the accounting file. The output from step 4 follows. We have appended to each line the description of the process in italics, for the discussion later. The elapsed time values are measured in units of clock ticks per second. From Figure 2.14, the value on this system is 100. For example, the sleep(2) in the parent corresponds to the elapsed time of 202 clock ticks. For the first child, the sleep(4) becomes 407 clock ticks. Note that the amount of time a process sleeps is not exact. (We'll return to the sleep function in Chapter 10.) Also, the calls to fork and exit take some amount of time. Note that the ac_stat member is not the true termination status of the process, but corresponds to a portion of the termination status that we discussed in Section 8.6. The only information in this byte is a core-flag bit (usually the high-order bit) and the signal number (usually the seven low-order bits), if the process terminated abnormally. If the process terminated normally, we are not able to obtain the exit status from the accounting file. For the first child, this value is 128 + 6. The 128 is the core flag bit, and 6 happens to be the value on this system for SIGABRT, which is generated by the call to abort. The value 9 for the fourth child corresponds to the value of SIGKILL. We can't tell from the accounting data that the parent's argument to exit was 2 and that the third child's argument to exit was 0. The size of the file /etc/termcap that the dd process copies in the second child is 136,663 bytes. The number of characters of I/O is just over twice this value. It is twice the value, as 136,663 bytes are read in, then 136,663 bytes are written out. Even though the output goes to the null device, the bytes are still accounted for. The ac_flag values are as we expect. The F flag is set for all the child processes except the second child, which does the execl. The F flag is not set for the parent, because the interactive shell that executed the parent did a fork and then an exec of the a.out file. The first child process calls abort, which generates a SIGABRT signal to generate the core dump. Note that neither the X flag nor the D flag is on, as they are not supported on Solaris; the information they represent can be derived from the ac_stat field. The fourth child also terminates because of a signal, but the SIGKILL signal does not generate a core dump; it only terminates the process. As a final note, the first child has a 0 count for the number of characters of I/O, yet this process generated a core file. It appears that the I/O required to write the core file is not charged to the process. #define FMT "%-*. *s  e = %6ld, chars = %7ld, stat = %3u: %c %c %c %c\n"
#define FMT "%-*. *s  e = %6ld, chars = %7ld, %c %c %c %c\n"
Any process can find out its real and effective user ID and group ID. Sometimes, however, we want to find out the login name of the user who's running the program. We could call getpwuid(getuid()), but what if a single user has multiple login names, each with the same user ID? (A person might have multiple entries in the password file with the same user ID to have a different login shell for each entry.) The system normally keeps track of the name we log in under (Section 6.8), and the getlogin function provides a way to fetch that login name. This function can fail if the process is not attached to a terminal that a user logged in to. We normally call these processes daemons. We discuss them in Chapter 13. Given the login name, we can then use it to look up the user in the password fileto determine the login shell, for exampleusing getpwnam. To find the login name, UNIX systems have historically called the ttyname function (Section 18.9) and then tried to find a matching entry in the utmp file (Section 6.8). FreeBSD and Mac OS X store the login name in the session structure associated with the process table entry and provide system calls to fetch and store this name. System V provided the cuserid function to return the login name. This function called getlogin and, if that failed, did a getpwuid(getuid()). The IEEE Standard 1003.11988 specified cuserid, but it called for the effective user ID to be used, instead of the real user ID. The 1990 version of POSIX.1 dropped the cuserid function. The environment variable LOGNAME is usually initialized with the user's login name by login(1) and inherited by the login shell. Realize, however, that a user can modify an environment variable, so we shouldn't use LOGNAME to validate the user in any way. Instead, getlogin should be used. In Section 1.10, we described three times that we can measure: wall clock time, user CPU time, and system CPU time. Any process can call the times function to obtain these values for itself and any terminated children. The two structure fields for child processes contain values only for children that we have waited for with wait, waitid, or waitpid. All the clock_t values returned by this function are converted to seconds using the number of clock ticks per secondthe _SC_CLK_TCK value returned by sysconf (Section 2.5.4). Most implementations provide the geTRusage(2) function. This function returns the CPU times and 14 other values indicating resource usage. Historically, this function originated with the BSD operating system, so BSD-derived implementations generally support more of the fields than do other implementations. The program in Figure 8.30 executes each command-line argument as a shell command string, timing the command and printing the values from the tms structure. $ ./a.out "sleep 5" "date"
In these two examples, all the CPU time appears in the child process, which is where the shell and the command execute. A thorough understanding of the UNIX System's process control is essential for advanced programming. There are only a few functions to master: fork, the exec family, _exit, wait, and waitpid. These primitives are used in many applications. The fork function also gave us an opportunity to look at race conditions. Our examination of the system function and process accounting gave us another look at all these process control functions. We also looked at another variation of the exec functions: interpreter files and how they operate. An understanding of the various user IDs and group IDs that are providedreal, effective, and savedis critical to writing safe set-user-ID programs. Given an understanding of a single process and its children, in the next chapter we examine the relationship of a process to other processessessions and job control. We then complete our discussion of processes in Chapter 10 when we describe signals.